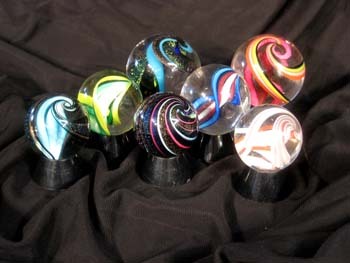 Welcome to the Marbles section of our website. 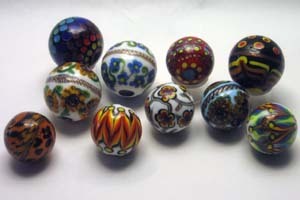 We have created two areas for you to explore, a furnace or hot shop technique area and an area for the Lampworked marbles of Karen Federici. Click the images below to visit each section. Enjoy!